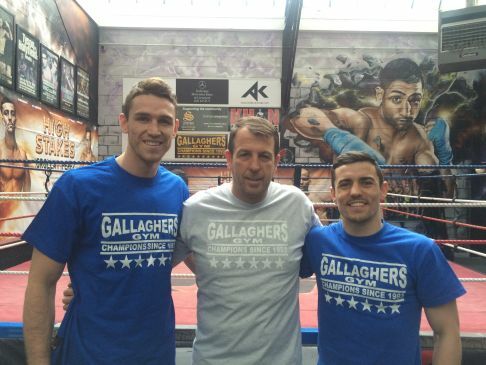 Tangerine PR has added to its boxing roster by being appointed to handle PR for UK fighters Anthony Crolla and Callum Smith ahead of major fights this summer. The agency, which has represented high-profile boxer Amir Khan in recent years, is to offer strategic media advice to Crolla and Smith and manage their media commitments. The former is to fight in the WBA World Lightweight Championship at the Manchester Arena against Darleys Perez on 18 July. Smith is to face Christopher Rebrasse at the Echo Arena on 26 June. Tangerine was appointed by Crolla and Smith's trainer Joe Gallagher in a non-competitive pitch that followed the agency's work with Khan. Mary Harding, MD of Tangerine PR’s consumer team, said: "After working with top sporting star Amir Khan over the past few years we couldn’t be happier to recruit two more of the biggest names in British boxing to our talent management portfolio. Anthony and Callum have the potential to be real superstars on the world sporting scene." Gallagher said: "I’ve seen Tangerine’s work with Amir over the years and I’ve been really impressed with its passion, enthusiasm and knowledge of the sports industry. So when it came to appointing an agency to take us to the next level, Tangerine was a natural choice to join Team Gallagher."